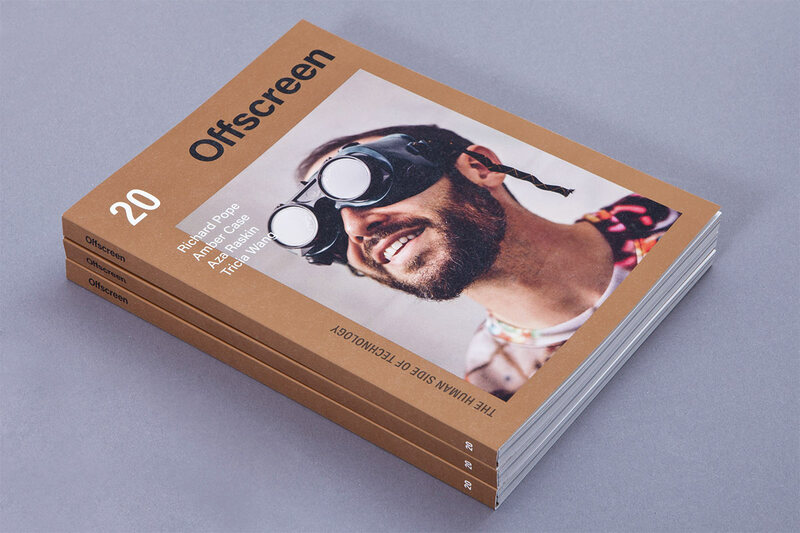 It's been seven years since I started working on the first issue of Offscreen. And today I'm happy to announce the release of issue 20! To celebrate, issue 20 is printed with a special metallic Pantone colour throughout. It looks surreal. You don't want to miss this one! We're also dedicating eight pages in the back of the issue to revisiting all of our previous interviewees to find out what they've been up to. Issue 20 will start shipping in the next 48 hours. To be part of the first big batch leaving our warehouse, make sure you order your copy today. As a subscriber you will automatically receive the new issue, but it’s worth checking your account occasionally anyway to make sure that your shipping details are up-to-date. The access link to your account can be found in the confirmation email you received after your initial order. Can’t find the email? Request a new link on my.offscreenmag.com. Richard Pope – A designer and digital strategist who was part of the initial team behind GOV.UK and who more recently has put his expertise on building trust and accountability in the digital to good use for the private and non-profit sectors. Amber Case – The author and researcher is the creator of the Calm Tech principles which attempt to protect our attention and recapture our sense of purpose and identity. Aza Raskin – The artist, design thinker, and co-founder of The Center for Humane Technology offers thoughts on how we can take on our future, reframe our problems, and look for solutions beyond the limits of the possible. Tricia Wang – The tech ethnographer and entrepreneur wants companies to look beyond their obsession with Big Data and invest in qualitative research (she calls it Thick Data) to truly understand the human aspects of their customers. View the details of issue 20 here. This issue would not have been possible without the support of our generous sponsors: Bakken & Bæck, Harvest, Help Scout, Hover, SiteGround, Made by Many, Simplecast, and Ueno. And of course, a big 'thank you' to all Patrons of this issue. Don't forget to share your feedback and photos via Twitter and Instagram once you’ve received your copy in the mail. Any questions, just contact us. Enjoy your Offscreen time!